Do you remember what it was like to ride mountain bikes without bike droppers? This involved having to choose between settling for a high post, which could ruin the fun of descents, and stopping to adjust the saddle. Dropper posts have completely revolutionized mountain biking. Most professionals would agree that they are one of the best ways you can upgrade your bike. What does the Dropper Post do? Dropper posts let you lower the height of your bicycle saddle as you ride, allowing you to shift around more easily as you descend during your biking journey. Once you need to go up again, you allow this to return to the right height for pedaling efficiently. This is all done without the need to stop mid bike-ride. These traits make dropper posts perfect for endurance racing, where the ability to switch from an uphill sprint to a speedy descent is crucial to your success. But even XC and trail riders stand to benefit from using one. 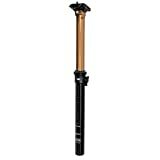 Lots of different types of dropper posts exist out there in the mountain bike gear world. This article will show you the best products available on the market right now, then explain a bit more about choosing the right post and how to use it. The second edition of Fox’s dropper post has been very successful. This product has a fast step-less, smooth design, and very reliable cartridge internals. These offer as much as 150mm of travel and externally and internally routed designs. You can choose between an under-bar cable remote (1x specific) or shifter-enabled cable remote. The twin clamp head can be micro-adjusted, is easy to adjust, and provides security. 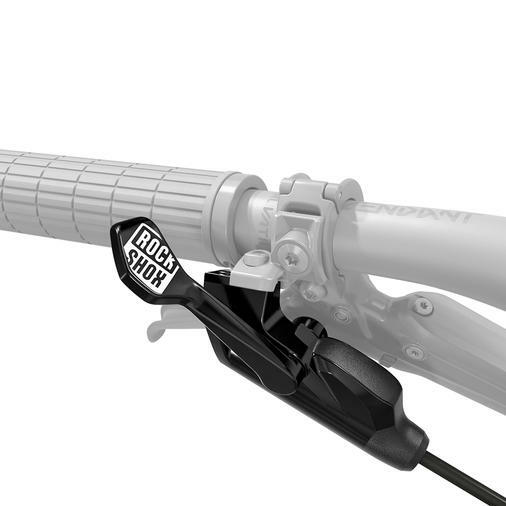 ROCKSHOX is known for producing quality products, and the REVERB is no exception. The company has pioneered something new in their internal routing; “Stealth.” This has become an included, standard feature with most newer frames. This prevents the fragile hydraulic hose from moving around too much and instead keeps it out of harm on the frame’s inside. The adjustment is now 150mm (125 or 100 if you prefer that) and you can choose to mount the lever on the right or left, as well as below or above the bars. You can also choose the mount called “Matchmaker X” by SRAM to attach the Reverb adjuster to a SRAM/Avid lever for braking. Overall, this dropper post is super smooth and comes with lots of neat extras. 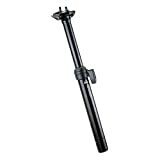 For the price you’ll pay, the Cascade Dropper Post is amazing value. If you don’t already use a dropper post, this is a good place to start. It offers a smooth operation and a fast return speed. This addition can make downhill runs much more fun for you. It’s easy to install, especially if you know anything about mechanical matters. Make sure that the post is entirely installed and definitely works before you cut the post at the end of the installation. Although it’s light, it doesn’t feel cheap at all and is well-made. If you’re ready to transform your entire mountain biking experience, including downhill runs, you can’t do much better than this. Thomson has been known for its great stems and high-quality seat posts, and now it’s added something new to its line of products. 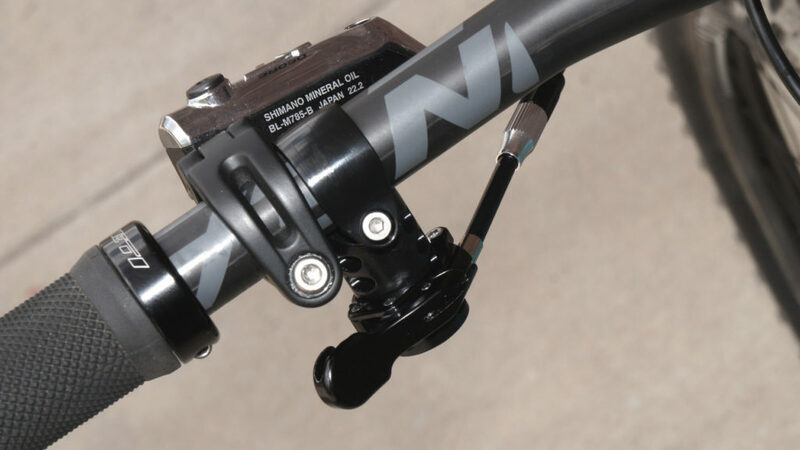 The first stealth dropper post by Thomson, the Elite, has quickly been adapted to work well with internal routing functions. True, it does have just 125mm, but it’s very reliable and smooth. The finish and fit are high-quality, as you’d expect from Thomson. You’ll be glad to know that the cable remote functions with the majority of set-ups. In addition, the post’s step-less design doesn’t have a lot of side-to-side play going on while in use. If you’re working with a frame that is older and requires a 27.2mm product, you can find a post that fits by Thomson, but keep in mind that it does only come externally routed. When it comes to sizing, you’ll have to choose between a couple options. First, you need to pick the right diameter for the frame of your bike. Although you’ll see many choices for diameters in seat posts, the industry has fortunately settled on a smaller number. The most common two sizes will be the 31.6mm and 30.9mm sizes. You can also see 34.9 and 27.2mm sizes out there, though they’re less common. A lot of hard tails, both new and old, use 27.2mm, so thankfully some manufacturers are offering posts that will fit them. After you figure out which size you need for your post, you must pick the right hose/cable routing for the bike you have. Fortunately, this isn’t very hard because only two choices exist. These are internal (or “Stealth”) and external. Droppers should work the same way functionally, regardless of their routing. External routing means the hose/cable runs from your handlebar’s remote to your frame’s outer-post. Usually, this will run either underneath, at the side, or on the top tube of the frame. This type of routing makes mounting the post easy, even if you aren’t very experienced with this. Most posts offer you the choice of infinite adjustments. In other words, you can stop it anytime during travel. 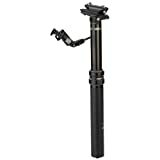 Some posts will have preset positions included with them, as well, though how often you’ll use these depends on your needs and familiarity with the product. As you can see, if you’re serious about your mountain biking, you can’t afford to miss out on investing in a stealth dropper post. Based on the features of each, the Thomson Elite Covert Dropper is by far the best on our list. Take action and get one today!